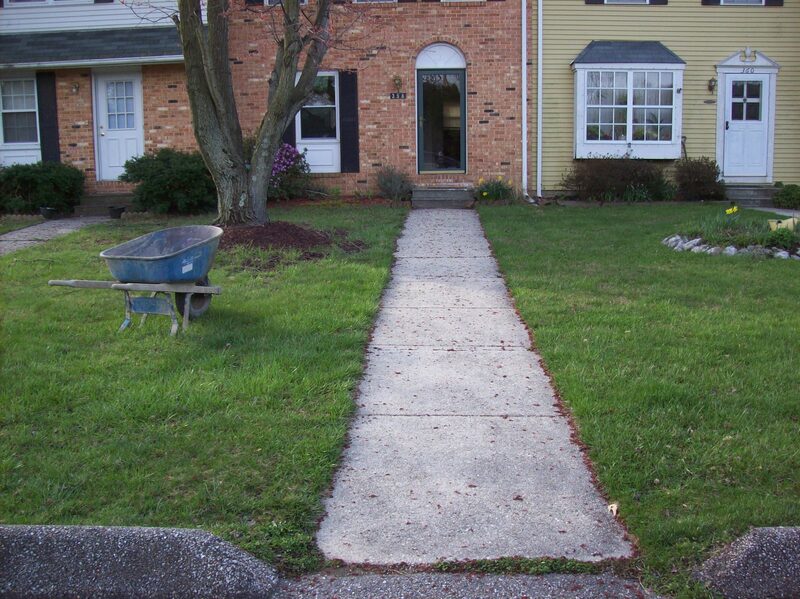 The owner of this Glen Burnie Townhouse contacted us to have a new walkway and the entry steps replaced. This is an example of an issue we see all the time here at Maryland Curbscape. The front stoop and steps had sunk about six inches, leaving an unsafe distance to step up and into the front door. The walkway was also in need of repair, and potentially a safety hazard. That was the bad news. The good news was, that this was a basic job, completed quickly, and had amazing noticeable results. 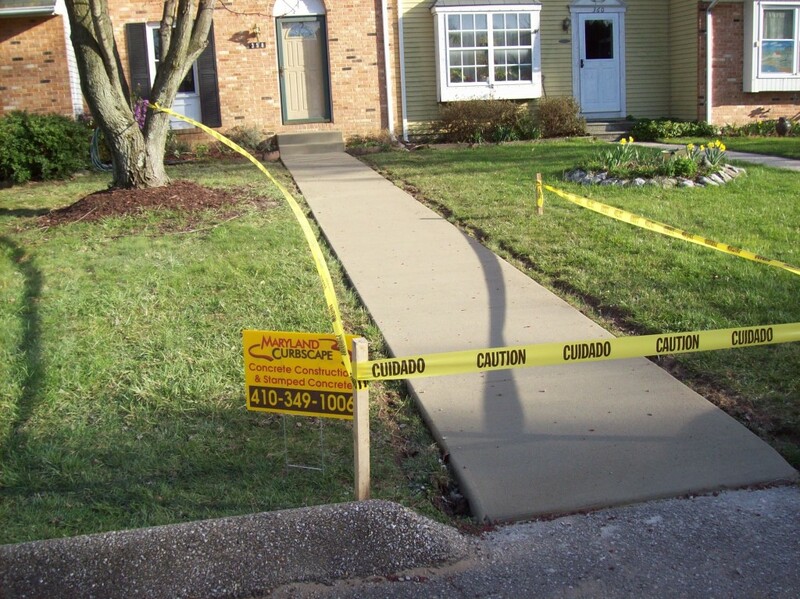 Check out the details about this Glen Burnie Townhouse walkway replacement. 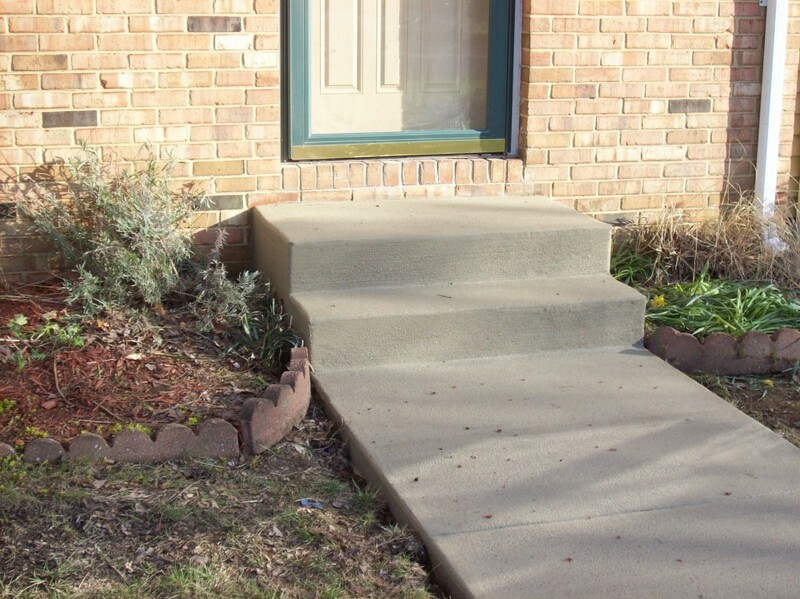 Our crew was able to very easily remove the front steps and rip up the walkway. They then regraded the walk and poured new steps. It is a common type of concrete with a standard broom finish for traction. The result is a beautiful, clean and safe entry way to the home. The new concrete gives the house instant curb appeal and definitely spruces up the front yard. This entire job was affordable and completed in only a few days. 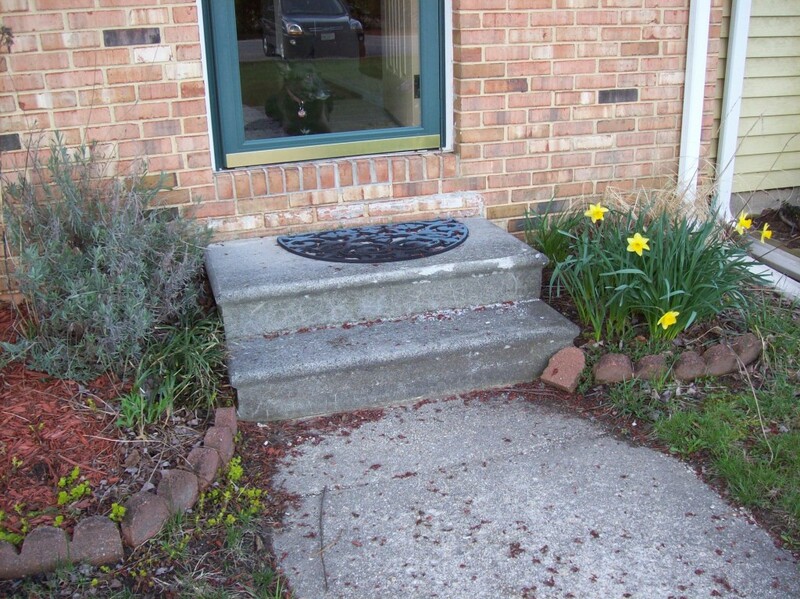 Contact Maryland Curbscape if you are interested in a quick, yet attractive way to easily spruce up your entryway.